Sinonasal imaging is performed in two major clinical scenarios: inflammatory rhinosinusitis or a suspected mass lesion. The diagnosis of rhinosinusitis is based on clinical grounds. Radiological diagnosis forms an important tool in the armamentarium to diagnose and classify rhinosinusitis. 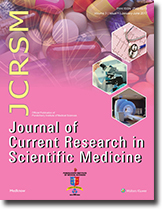 Computed tomography (CT) scan, as well as magnetic resonance imaging, may at times complement each other, to aid the clinician arrive at a diagnosis. CT scans are the gold standard study guiding management of sinusitis because they accurately depict the sinus anatomy, including soft tissue changes, anatomic variations; the osteomeatal complex, and complications, especially those involving the orbit or intracranial structures. Nevertheless, despite the best radiologic modalities, a clinicoradiological correlation is a must to accurately diagnose this often deceptive condition called rhinosinusitis. Platelets play a crucial role in homeostasis and wound healing. Wound healing is a complex, multi-staged process that deals with multiple cell types such as platelets, leukocytes, and also growth factors. Growth factors present in platelets guide the regenerating cells to the area of healing. In the recent past, numerous techniques have been developed to utilize autologous platelet concentrates for the repair and regeneration of soft and hard tissues after periodontal surgical procedures. 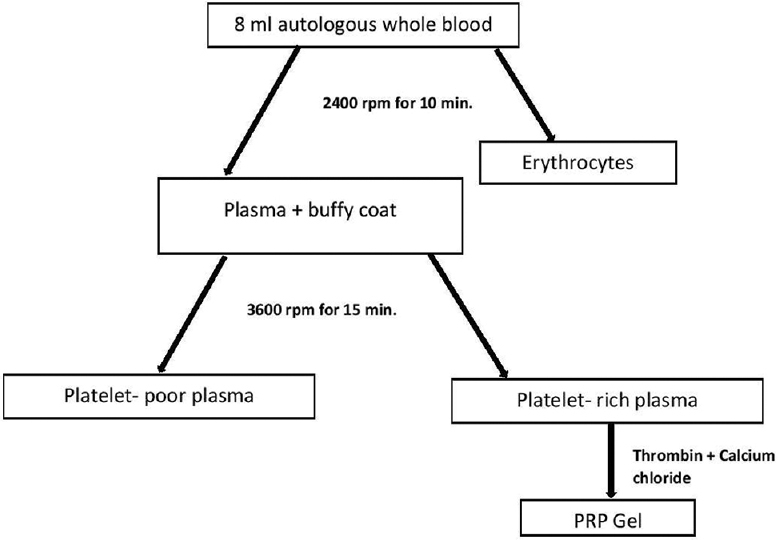 This review focuses on the evolution of platelet concentrates, and compares the widely used second-generation platelet concentrate, i.e., leukocyte platelet-rich fibrin (PRF) with a newer third-generation platelet concentrate, i.e., titanium-prepared PRF. Background: Hospital-acquired infections (HAIs) are a threat to public health and addressing this issue will help to plan appropriate preventive strategies. Full-fledged active HAIs surveillance is the cornerstone in assessing the burden of HAIs. This study was planned to assess the burden of HAIs by implementing a hospital-wide active surveillance system in a large tertiary care teaching hospital in south India and compare findings with those of National Health Safety Network United States (NHSN US) and International Nosocomial Infection Control Consortium (INICC) India HAI rates. Materials and Methods: Active HAIs' surveillance was initiated in 18 Intensive Care Units (ICUs) from January 2015 to September 2016. All patients admitted in the ICUs were followed up by the infection control nurses, and surveillance was done for device-associated infections (DAIs). The cumulative rates of the DAIs and device utilization (DU) rates and surgical site infection (SSI) rates were determined for all the ICUs. These data were compared with corresponding NHSN and INICC India HAI rates. Results: Total number of patient days for the entire study period was 111294, pooled mean ventilator-associated pneumonia rate was 25.00/1000 ventilator days (NHSN US 2.0 and INICC India 9.4); Pooled mean central line-associated blood stream infection rate was 7.2/1000 central line days (NHSN US 1.1 and INICC India 5.1). The pooled mean ICU catheter-associated urinary tract infection rate was 6.1/1000 catheter days (2.1 NHSN US and 2.9 INICC India). The pooled mean SSI rate was found to be 3.5/100 surgeries. The DU rates had a significant positive agreement with the DAI rates. 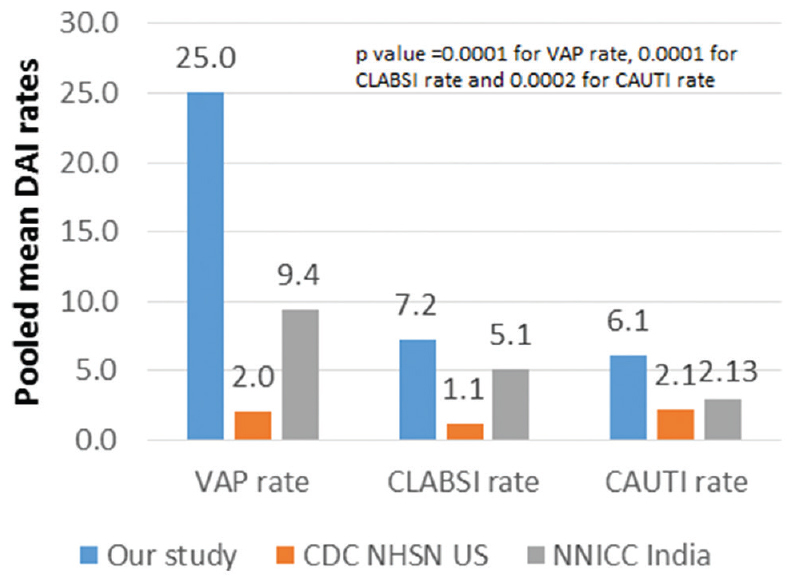 The DAI rates of most of the ICUs were found be to be higher than NHSN US and INICC India rates. Conclusion: There is an increasing need to implement an active surveillance system to detect and monitor the HAI rates which would be vital to implement infection control measures in a proactive manner rather than reactive. Background: Bloodstream infections remain a major cause of mortality and morbidity. Respiratory tract, genitourinary tract, and intra-abdominal foci are often the common identifiable foci of these infections. Definitive treatment based on blood cultures and susceptibility is essential to treat sepsis cases for better outcome. This study was conducted to document the bacteriological profile, their susceptibility pattern, antibiotics used for empiric and definitive treatment, escalation or de-escalation of antibiotics done following antibiogram report. Materials and Methods: descriptive study was carried out for a period of 1 year after obtaining waiver of consent from Institute Ethics Committee. Demographic details, length of hospital stay, risk factors, bacteriological profile with antimicrobial resistance pattern, empiric antibiotic and definitive antibiotic given and outcome of patient were recorded. Statistical analysis was done by using IBM SPSS version 16.0 (SPSS Inc., Chicago, IL, USA) software. Results: Overall prevalence of sepsis was 9.5%. 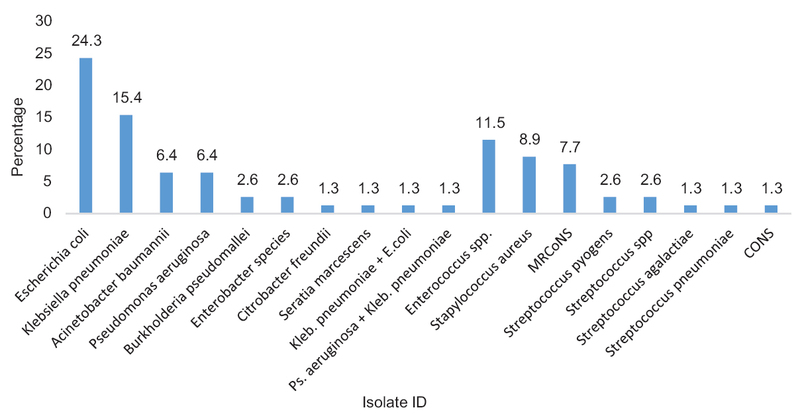 Gram-negative bacteria were more commonly isolated (62.8%) than Gram-positive bacteria (37.2%), and Escherichia coli was the most common isolate (24.3%). Antimicrobial resistance among Gram-negative bacterial isolates was maximum with ciprofloxacin (51.3%) and ceftriaxone (45.2%), and least with amikacin, imipenem (16.7%), and polymyxin B (2.6%). Penicillin group of antibiotics were commonly used for empiric treatment, and glycopeptides/polymyxins and carbapenems were most preferred for definitive treatment. Conclusion: Knowledge about prevalence, risk factors, bacteriological profile, and their antibiogram resistance pattern is essential to select the antibiotic for the empiric treatment of suspected cases of sepsis and to formulate antibiotic policy. It is also important to de-escalate/escalate antibiotics according to the susceptibility report for a better outcome and to shorten the period of morbidity. Context: Gestational diabetes mellitus is the most common medical complication of pregnancy and is considered a major public health problem associated with an increase in perinatal mortality and morbidity rates. Aims: The aim of this study is to correlate glycated hemoglobin (HbA1c) values of parturient mothers with anthropometry of their newborn babies. Settings and Design: This was a prospective, observational study. Subjects and Methods: A total of 1000 patients and their babies who had fulfilled the inclusion criteria and had signed the consent were enrolled in the study. The HbA1c values of parturient mothers with anthropometry of their newborn babies were documented. 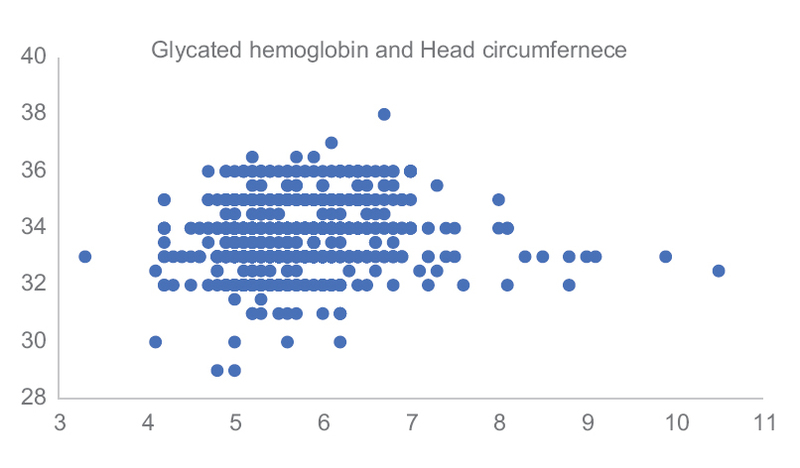 Correlation analysis of the observed values was of the anthropometry, and the HbA1c values were evaluated. Statistical Analysis Used: Correlation tests were used for statistical analysis. Results: A statistical correlation is seen between an HbA1c value >6% and a birth weight more than 3700 g. A similar correlation is seen between a normal HbA1c value and a birth weight between 2500 and 3700 g. Conclusions: The anthropometric findings could be of value in the management of the newborn babies in the absence of laboratory evidence of deranged sugar values in the antenatal period, especially in the low-resource settings. Introduction: Studies describing etiological distribution of tetany are rare, and awareness regarding it is poor among physicians. Our study describes different causes of tetany beyond the decrease in total serum calcium level. Methods: Patients with overt or latent tetany were evaluated clinically and from laboratory investigations. Initial investigations done were serum calcium, potassium, and arterial blood gas analysis. Both ionized and total calcium were assessed and corrected according to serum albumin level. Depending on initial reports, further tests were done such as serum phosphate, alkaline phosphatase, parathyroid hormone and magnesium levels; and urine potassium, calcium and chloride levels. Results: Gitelman's syndrome (GS), Bartter's syndrome (BS), recurrent vomiting, anxiety hyperventilation, Vitamin D3deficiency (VDD), idiopathic hypoparathyroidism (IHP), postoperative hypoparathyroidism (PHP), acute pancreatitis, tumor lysis syndrome (TLS), and hypomagnesemia were the different causes of tetany identified. Out of 53 patients, total serum calcium was normal in 41 patients with metabolic or respiratory alkalosis (GS, BS, recurrent vomiting, and anxiety hyperventilation). Total calcium was low only in 12 patients (in VDD, IHP, PHP, acute pancreatitis, TLS, and hypomagnesemia). Ionized calcium was low in all patients. GS was the most common (38%). Recurrent vomiting (19%), anxiety hyperventilation (13%), and VDD (11%) were also common. PHP was less common (4%); acute pancreatitis, TLS, hypomagnesemia, and IHP were uncommon. Conclusion: Tetany has diverse etiologies. Both metabolic and respiratory alkalosis cause decrease in ionized calcium and are responsible for the majority of cases of tetany. Causes other than decreased total calcium should be kept in mind for early etiological diagnosis of tetany. Melioidosis is an infectious disease with varied clinical manifestations. Majority of its symptoms mimic tuberculosis. We report a case of a 19-year-old girl who presented with a swelling on the anterior aspect of her neck of 2 months' duration. It was provisionally diagnosed as cold abscess with fine-needle aspiration cytology done for confirmation. Burkholderia pseudomallei was isolated from the aspirate. The isolate was sensitive to ceftazidime, imipenem, meropenem, and cotrimoxazole. Ultrasound did not reveal any similar lesions elsewhere in the body. Treatment was instituted with intravenous injection of 2 g ceftazidime 6th hourly. The abscess was incised and drained. After completion of intensive phase for 2 weeks, treatment was switched to maintenance phase with cotrimoxazole three tablets for every 12 hours. High level of clinical and microbiological suspicion is important to detect and treat melioidosis in nonendemic areas. Patient's compliance to long-term medications is required which makes treatment a challenge. Variations in gut axial vasculature warrant attention owing to its catastrophes which arise during surgeries of the upper abdomen. 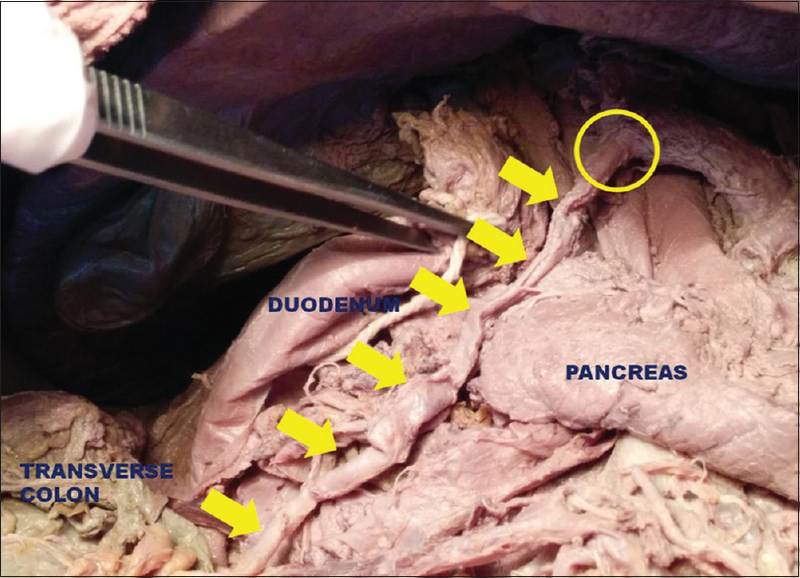 Here, we report a case of anomalous origin of the middle colic artery from the celiac trunk in an approximately 70-year-old male cadaver. Celiac trunk forms the axial vasculature of the foregut. The middle colic artery is a branch of the superior mesenteric artery, the axial vasculature of mid-gut. Among the anatomical variations in the branching pattern of gut vasculature, the knowledge regarding this anomaly would, therefore, be helpful for the gastroenterologists, radiologists, and interventionists. 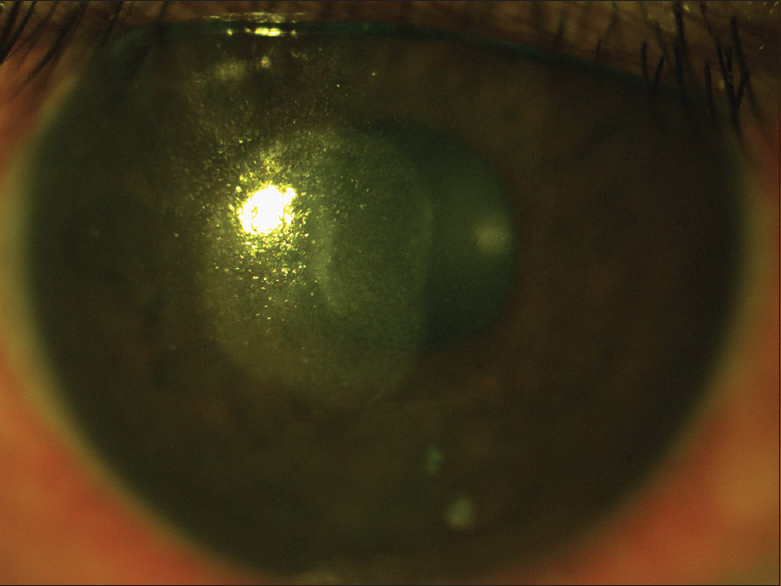 We describe a rare and classical presentation of atopic keratoconjunctivitis that responded well to tacrolimus skin ointment. Furthermore, the emerging role of tacrolimus in the treatment of atopy is also highlighted briefly. Acinetobacter baumannii infection is common among inpatients and is a major cause of hospital-acquired or ventilator-associated pneumonia. It is rare for this pathogen to cause community-acquired pneumonia. Eighty percent of the patients with community-acquired Acinetobacter present with lobar consolidation. Bronchopulmonary sequestration is a rare congenital disorder with incidence of 1 in 10,000–35,000 live births. Intralobar sequestration is more common than extralobar. Affected individual generally presents with respiratory distress at an early age. Late manifestation with the lower respiratory tract infection has also been reported. 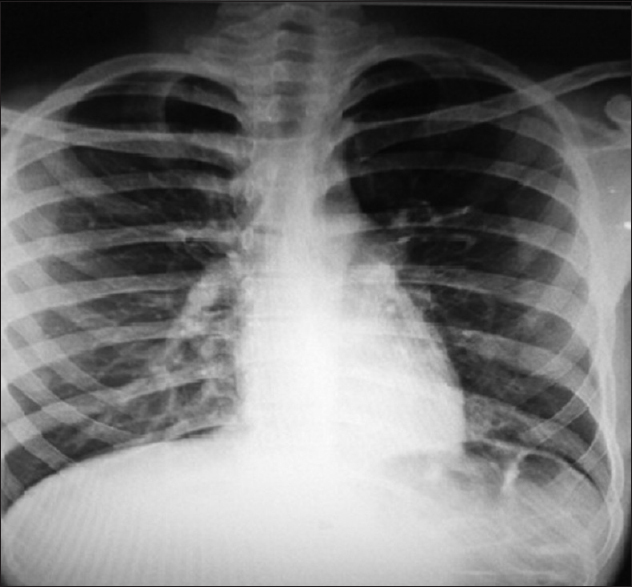 We report an interesting case of subsegmental consolidation masquerading as extralobar sequestration of the lung in an adult who presented with pyrexia of unknown origin. Introduction: Antimicrobial mouth rinses as an adjunct to nonsurgical periodontal therapy can play an important role in maintaining oral health. Aim: The aim of this study is to evaluate the antimicrobial effect of Listerine and HiOra® mouthrinses and compare their efficacy on four specific standard bacterial strains, namely, Aggregatibacter actinomycetemcomitans (Aa), Porphyromonas gingivalis (Pg), Prevotella intermedia (Pi), and Fusobacterium nucleatum (Fn). Settings and Design: Ethical clearance for the study was granted by the Institutional Ethics Committee. 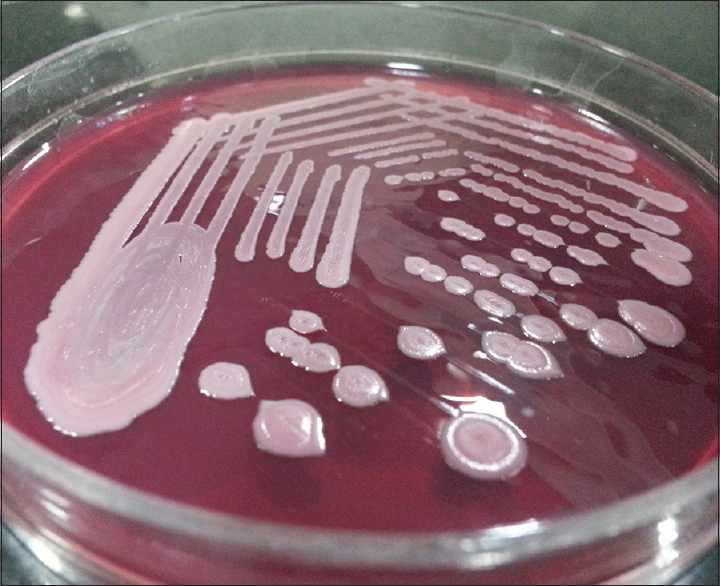 Materials and Methods: Aa, Pg, Pi, and Fn were maintained on enriched tryptic soy agar. Listerine and HiOra were tested against these bacterial strains using agar diffusion and broth dilution assay method where minimal inhibitory concentrations (MICs) were defined as the lowest concentration of test agent, either showing no or few bacterial growth colonies and by lack of turbidity, respectively. Distilled water was used as the control group. The tests were run three times for each mouthrinse against each organism. The results obtained were compared by their median values. Results: All the strains showed sensitivity towards both the test solutions. Listerine showed a lower MIC value than HiOra against all the strains, except Fn where the MIC value by broth dilution was 3.12 mcg/ml and by agar method was 90% concentration for both the test solutions. Both the test solutions had antibacterial effect at various concentrations. Conclusion: Listerine, the essential oil-based mouthrinse, was observed to be more potent than the herbal mouthrinse HiOra where both had antimicrobial effect.